Thu 29/09/2016 ► 12:00 Grand Rounds: Psoriasis – is it skin deep? Since the 1950s, vision researchers have been working towards the ambitious goal of restoring a functional level of vision to the blind via electrical stimulation of the visual pathways. Groups based in Australia, USA, Germany, France and Japan report progress in the translation of retinal visual prosthetics from the experimental to clinical domains, with two retinal visual prostheses having recently received regulatory approval for clinical use. The elderly are vulnerable to infection, and vaccines can help. Monash immunologists describe the global health challenge for an ageing demographic, and how developing better vaccines might help. The world's population is ageing, posing a significant health burden on both the developed and less well-developed nations of the world. 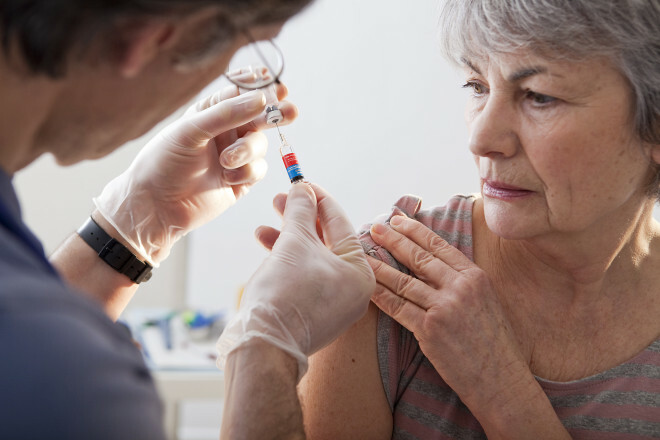 Maintaining a healthy aging population is now a major public health priority, and vaccination is an ideal means by which to do this. The Department of Allergy, Immunology and Respiratory medicine has published issue 41 of its news. Highlights include recent publications, courses, awards to staff, etc. Featured here is the Lung Health Promotion update. 2016 has proven to be our busiest year yet as we update to meet the challenges of education delivery in the digital age. The Centre is on track with the rollout of updated website and material, with website release and switch to cloud based online booking, payment and customer management plan on course to be completed by year's end. Congratulations to Alfred Health physician trainees! Alfred Health physician trainees have achieved an 89% pass rate (24 registrars passing) in the recent Royal Australasian College of Physicians (RACP) clinical exams. This result compares with a 73.1% national and 80.9% Victoria state pass rate. Victoria is the highest performing state in Australia with many of the hospital training sites being Monash University affiliated. All Monash University associated clinical sites are to be congratulated for contributing to the excellent results for Victoria, with Mildura having five basic physician trainees from Alfred and Peninsula rotating through and Monash University's other main teaching sites of Box Hill, Monash Medical Centre and Peninsula Health also getting an additional 42 registrars through the exams. The program for Alfred Health was coordinated and supervised by the Directors of Physician Education Associate Professors Anne Powell and Laila Rotstein who are also our Directors of Central Clinical School's (CCS) Medical Education programs. The physician training program involves over 100 highly trained consultants and senior registrars, who also contribute to CCS's medical student teaching program. A big thankyou and warm congratulations to everyone involved.